So long, boxes of paper. Access all of your invoices in one place online. We compile and digitize your supplier invoices into a single, intuitive dashboard. Never worry about losing an invoice again. 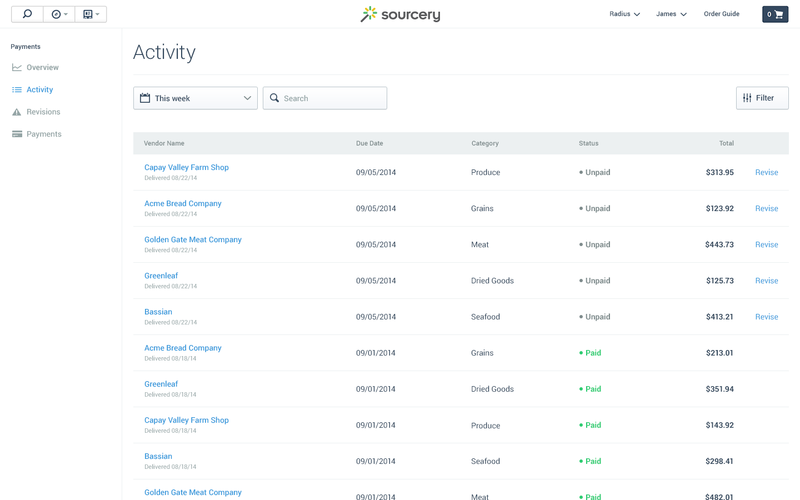 Find invoices with our quick and simple searches. Sort by vendor, date, and invoice number. Easily download the invoices you need. Export your activity directly to QuickBooks® and other small business accounting systems. Give us a ring to find out more. Adam is looking forward to your call.